With only two games remaining until the x-mas holiday break, the Lincoln Stars will go on the road and hopefully extend their current three-game winning streak with contests against two of the top USHL Eastern Conference teams. On Friday, the Stars will take on the Dubuque Fighting Saints. On Saturday, Lincoln will battle against the Green Bay Gamblers. Faceoff for both games will take place at 7:05pm CST. If you'd like to follow the action this weekend, you can check out the boxscores online via Pointstreak, listen to Stars radio announcer Mike Melbye on KLMS 1480 AM, or watch the games on FASTHockey for a fee. The Stars enter this weekend with a record of 15-7-1 (31 points) and are all alone in first place in the USHL Western Conference standings. The Stars have a one point lead over the Omaha Lancers who have 30 points and are in second place. Lincoln has one game in hand over Omaha. Click here to view the USHL standings. First up for the Stars on Friday night will be a tilt against the defending Clark Cup champion Dubuque Fighting Saints (14-7-1, 29 points, second place in the USHL Eastern Conference). 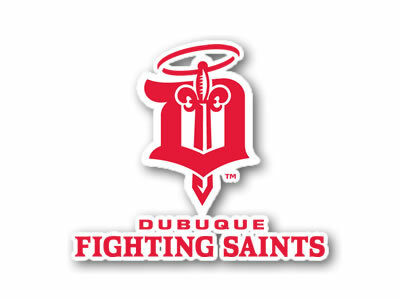 Since the Saints joined the USHL at the beginning of the 2010-11 season as an expansion team, the Stars are winless (0-1-1) against Dubuque. This will be first of two games the Saints and Stars will play against each other this season. The Saints will come to the IceBox to take on the Stars later on in the regular season on 3/23/2012 for the last matchup. The Saints are one of the better defensive teams in the USHL, surrendering on average only 23 shots and 2.5 goals per game. 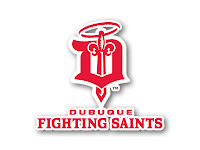 Dubuque goaltender Matt Morris, who was a big reason why the Saints won the Clark Cup last season (playoff MVP), was recently activated from the injured reserve list and should be starting against the Stars on Friday night. Morris is also a big reason why Stars goaltender Jackson Teichroeb is playing for Lincoln right now. Teichroeb, who played alongside Morris for the Fighting Saints last season, requested a trade during the offseason. With Morris returning to the Saints for another season, Teichroeb saw the writing on the wall and requested a trade to a team where he would get more playing time. The Lincoln coaches thought Teichroeb would be a good addition to the team, so they traded a first round pick in the 2012 USHL Entry Draft for the rights to Teichroeb. So far, the decision to bring in Teichroeb has paid off for the Stars. I would assume the Stars will start Teichroeb in net against his former team on Friday night, so it will be interesting to see how he performs. Dubuque goaltender Matt Morris, has not played in a game since 10/22/11, so let's hope he's rusty and allows some easy goals. On Saturday night, the Stars will take on arguably the best team in the USHL right now, the Green Bay Gamblers (19-3-1, 39 points, first place in the USHL Eastern Conference). Unlike Dubuque, this will be the only time this season that the Stars and Gamblers will play against each other. Green Bay enters this weekend on a seven-game winning streak. To put it simply, the Gamblers are scary good. Scary. They are deep at every position, and have one of the top goaltenders in the USHL in Ryan McKay. 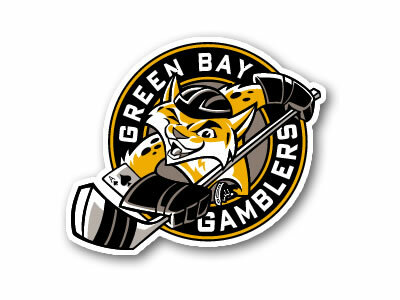 But, like every other team in the USHL, the Gamblers put on their skates the same way as the Stars, so it's not like GB is unbeatable. They can be beat, and oddly enough, they play much better on the road compared to at home, which is good news for Lincoln. The Gamblers have an astonishing 13-1-0 road record, and a 6-2-1 record at home. We will have a live chat running on both nights this weekend, so check us out. Those chats will start around 6:45pm each night. Hope to see you there.